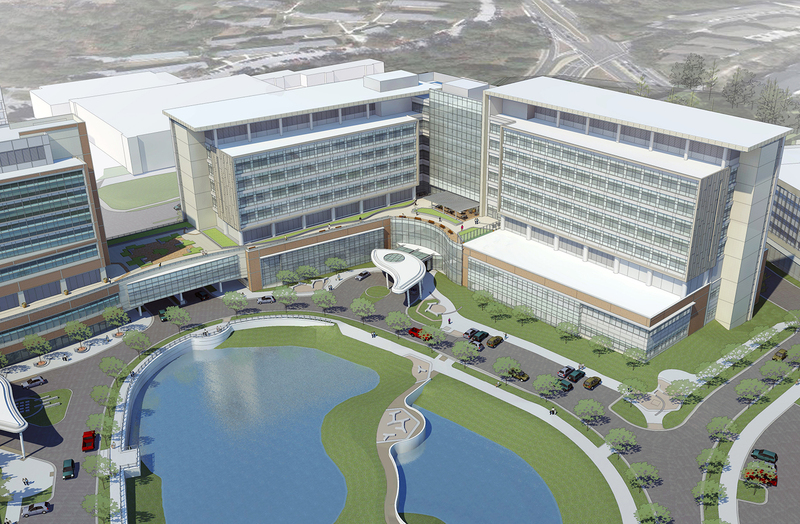 UF Shands teaching hospital has selected CHW as their professional land development firm for the new Neuromedicine and Cardiovascular 240 Bed Tower. The new tower will be located on a 15-acre site bounded by Archer Road, SW 13th Street, and SW 16th Avenue. The new UF Shands tower’s site improvements include: a parking garage, Energy Center expansion, site circulation and hardscape, stormwater, and complete on-site utilities. Offsite design includes roadway improvements to SW 13th Street from Archer Road to SW 16th Avenue. Offsite improvements will also include roadway re-construction sidewalks, drainage, and utilities.